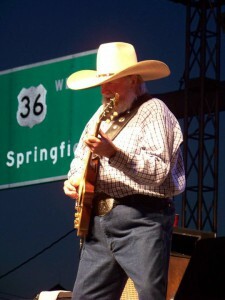 tags: Charlie Daniels Band, Decatur Celebration, decatur celebration review, decatur il, Phil Stacey, Tone Loc, Young M.C. The Razzle Dazzle Parade is an enjoyable small town parade. The highlight for me was the 95Q float which paid tribute to The Caddy Shack Movies, gopher, golf carts and all. They also had The Indianapolis Colts Cheerleaders and the Super Bowl Trophy which was cool to see (I still don’t understand the Colts and not the Bears, but that is another discussion). My Daughter liked the parade she and all the kids were a little bummed that no one threw out candy, but enjoyed the parade none the less. 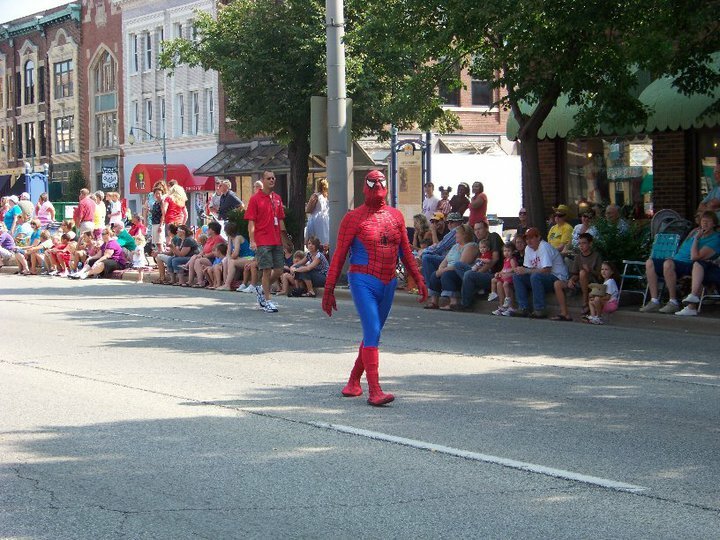 I would grade the Parade a C, average not above average. Now something did happen before the parade that did provide some excitement, the giant Panda Bear Balloon got loose and floated over 20 miles away to land in a soy bean field in Lovington. I wish I would have gotten video of that, haha! Now I did not come to the Celebration to Review the Parade. I came to review the Bands, and get some, what we will call Street Interviews (These are un-edited straight from the street!) with the Bands. One major debate about the celebration this year was the food/ drink bracelet. These bracelets cost $5.00 for the whole weekend or $3.00 a day and allowed you the ability to purchase food or drink. I did buy a $5.00 bracelet and was happy to do so. The Celebration has been on bad financial times the last few years and the bracelets were a way to keep the event FREE and keep it running! NOW onto the BANDS, SHOPPING, and FOOD!!! The first band we had the pleasure of watching was The Second Edition. 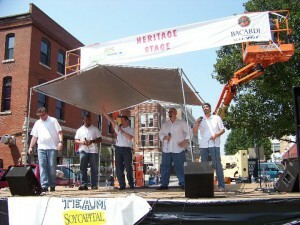 Second Edition is a local vocal rock band that has performed at the Celebration the last 12 years. I loved Second Edition; I don’t think I have ever seen a bad performance from them. They blend well, always keeps the crowd up, and is very personable on stage. I only got to see the first of their two shows and really wanted to make the second! It always amazes me how in tone they are from Base to the High Tenor they always bring it. Jeff Irwin is awesome with his beat boxing you can’t tell there are no instruments. Marcus Bond sounds awesome at Base, The High Parts go to Cory Pitt, Brad Barding, and Seth Morse who all do solos on songs we love to hear. The Second Edition is defiantly one of Decatur’s hidden secrets! I really believe if they were in a bigger town they would have a recording contract by now. I give The Second Edition an A. I really wish I could have caught their second show where I hear they did an awesome Michael Jackson Tribute! Onto a tribute band called The Kiss Army. I am sure you can figure out who they tribute with their great performance! While the Band was waiting to go on stage I did my first Street Interview with Steve Clark who tributes Peter Criss as the drummer for the Kiss Army. I was pleasantly surprised on how much they sounded, acted, and all around made you feel like you were at a KISS CONCET. Mark Shadows who Plays Gene Simmons had his walk and actions down to a T! The Kiss Army had everything going for them, even Mark Spitting Fire while they covered most of the hits we all know and love from Kiss. Kiss Army opened with Detroit Rock City , and never turned back! Kept the crowd in it, and Steve Clark did a great solo on Beth! I enjoyed The Kiss Army and my daughter did as well. In my book The Kiss Army gets a B + almost an A but not quite there. 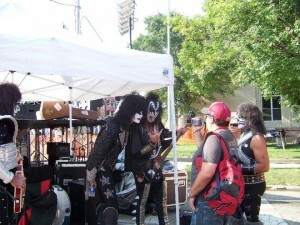 Check out the call out The Kiss Army did for Reviewstl.com! Phil Stacey the former season Six American Idol final five contestant is next on the Saturday full of Bands. Stacey is now in the Christian music industry. After watching his sound check I did a Street Interview with Phil Stacey . I enjoyed his performance, but he did have some miscues. He would sing with a keyboard by his side playing his back up music. I counted three times when he stopped the keyboard, but it went to the next song, this really distracted not only himself, but the audience as well. It was really hard to get into a groove with all of the stopping and starting. I did enjoy his performance, but I would only grade it a C-. He never really got the crowd into it, and I actually saw some people leave in the middle of his performance and walk over to the smaller stage where Dollyrots was starting their set. I of course went over to see what this up and coming Indy Punk band from L.A. was all about. They performed each day usually two shows at the Celebration. They ended up having more people in front of the small stage than Phil Stacey had during his whole show. Dollyrots has everything you would want to see in a live show. Great music, Great energy, and they knew how to energize the crowd. Dollyrots is coming to St. Louis for a show August 27th at the Firebird, if you are into Indy Punk go see these guys while you can. I am sure they will make it big really soon. They also are a great band for the young kids as well. My 6 year old daughter liked them so much she stayed to meet them after the show and got her photo with them! They covered Be My Baby. If you have a chance to go see them you will enjoy it I promise (I am not really into punk) and I really enjoyed Dollyrots. They filled their show with some of their future hits off their new album. After the show I got a Street Interview with the Dollyrots! They also did a call out for Reviewstl.com. 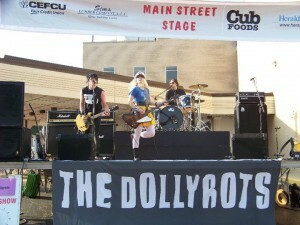 I give Dollyrots an A great music, great energy, and an all around fun time. They also know how to treat their fans they stuck around for an hour or more signing autographs for anyone who wanted one. I let my Daughter pick the next to last performance of the day. She picks an 11 year old named Anthony Gargiula. 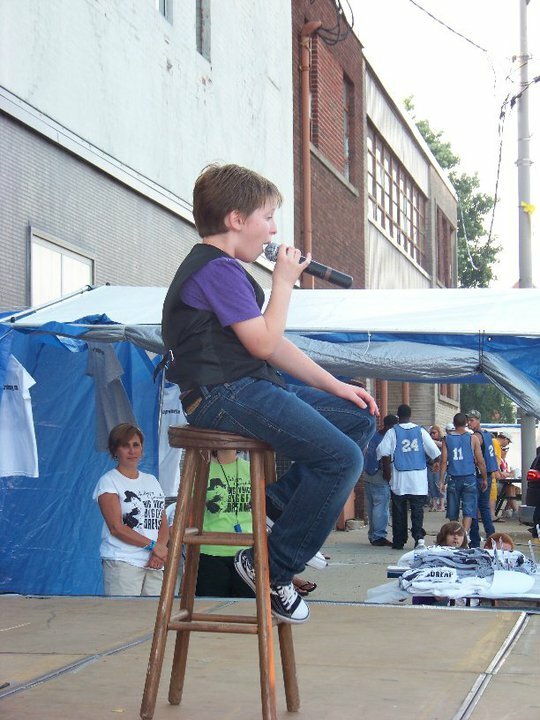 Anthony has been performing since he was five years old. He was even on Ellen when he was eight, and now this 11 year old was rocking it on a side stage at the Celebration. My daughter really got into his performance, his dancing and singing, and energy pushed into the crowd of all ages. I saw grandparents enjoying this young man, as well as girls my daughter’s age. I think Anthony was great. I loved his show, vocally he was awesome, choreography was spot on, and his energy was unbelievable. Anthony also stuck around after the show and signed autographs for all of his Fans (my Daughter now being one) When a group or a performer can get my 6 year old to dance in the streets you know they do a great job on stage. I grade Anthony Gargiula an A! 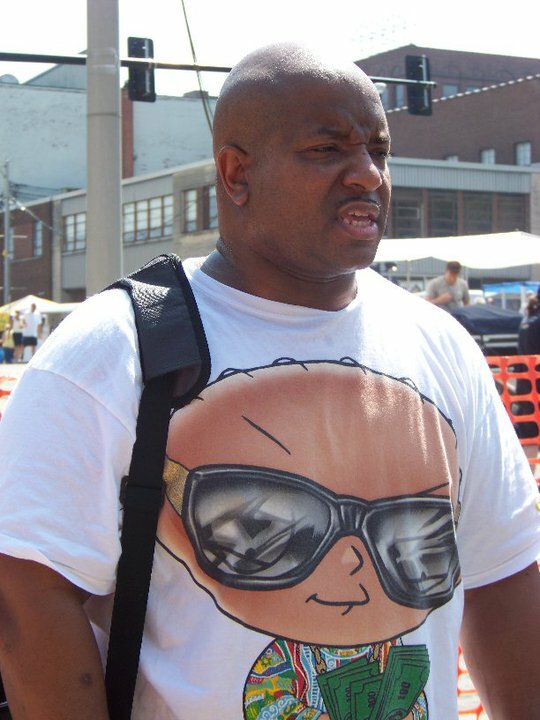 I did get to talk with Anthony for a Street Interview after his show. You will be able to tell with the way he handles himself during the interview that Big things are around the corner for this young man! For the Final Performance of Saturday we went to see Lou Gramm. Gramm used to be the lead singer of Foreigner. At age 60 Lou Gramm still rocked Decatur singing songs he made famous with Foreigner such as; Cold as Ice, I want to know what love is, and Feels like the First time. He had a full house for the main performance of the night, and he did great. Lou covered some songs off his new album, but everyone really enjoyed his singing and his energy. I think he did have a problem holding the notes like he used too, but no one seemed to care. Lou Gramm gets a B for his hard work. I think he was great but I think Anthony, Dollyrots, and the Second Edition were all better on this Saturday of the Decatur Celebration. We arrived for the Celebration in the afternoon just in time to get some food from the vendors, and do some shopping. I had some Alligator Tail which sounds bad but tastes so good. While we were walking around the celebration I noticed Young M.C. doing a sound check. I headed over to see if I could get an Interview and Young M.C. was happy to do one, even with the temperature around 100 degrees he gave me a few minutes. Street Interview with Young M.C. The next Performance we saw was Young M.C. 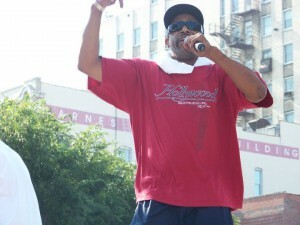 and Tone Loc. I love Old School rap and Hip Hop so I was excited to see if they still had what it took to run a show. Young M.C. was up first and he rocked it. He came out in the heat and energized the crowd with some of his old hits. Everyone who is anyone knows Bust A Move. Young M.C. was awesome! He gave all of us 80’s and early 90’s kids what we wanted. A great energized hip hop performance. Young M.C. was highly energized and had the crowd Moving. I would give Young M.C. a B he was great, but not an A. Young ended his part of the show with some freestyle rap that will Blow you Away. We liked his performance so much we came back for his second show. After Young M.C. came TONE LOC. If you have ever heard a Tone Loc song he has one of the most recognizable voices I have ever heard. Tone Loc came on after Young M.C. and I was curious to see if he could keep the Crowd going as strong as Young M.C. did, he did and much more. Tone kept everything old school, covered all of his hits, all while keeping the crowd energized and rocking. He covered Sugar Hill Gangs Hotel, Motel, Holiday Inn, and had the crowd going wild. Tone of course did Funky Cold Medina, and kept the crowd rocking with some free style. I had to give it to him it was really hot out and he was running around on stage like it didn’t bother him. Tone even called out to the audience for some girls to come dance with him on stage for his final song, his hit Wild Thing. My daughter Addy was one of these girls on stage for Wild Thing and he even got her to dance with him. I tried really hard to get a street interview with Loc, but was unable to. I was even in his Limo with him for 10 Minutes while he was on a phone call and then it was time for him to get up on stage and Rock the Mic. I would Grade Tone Loc an A+! He rocked it had the crowd rushing the stage and even left them wanting more! 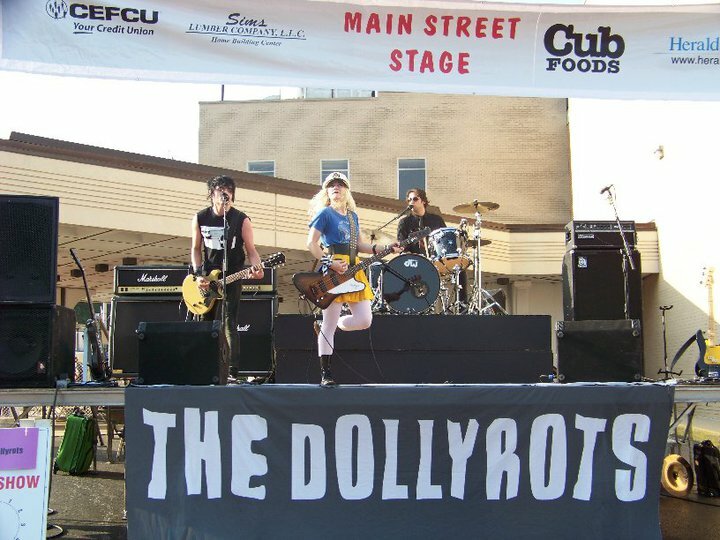 We liked Dollyrots and Anthony so much on Saturday we hit their stages again to see them perform. St. Louis people, Dollyrots will be here on the 27th be sure to go and rock with them. The final performance of this year’s Celebration was the Charlie Daniels Band. They did have the largest crowd of the Celebration stretching almost 4 blocks. They played all of their hits, everyone loved The Devil Went Down To Georgia. I enjoyed Charlie Daniels Band, but I didn’t think they had rocked the crowd as much as Tone Loc did earlier that day. I would give Charlie Daniels Band a B. They were good, just not awesome. Charlie Daniels Band is probably the biggest production the Celebration has even put on, and the Celebration rocked it! Decatur Celebration in a whole. Yes it was a hot and humid weekend; yes we bought bracelets so we could by food, and drink. Yes my family and friends had a great time. The Celebration even had a Flash Mob break out on the streets on Sunday. Overall I would give the Celebration an A! I can’t wait to come back next year! It was a great weekend and probably one of the best Celebrations I have been to in a while. After 25 years Fred Puglia and his staff put on a great Street Festival! If you are in St. Louis next year mark the first weekend in August and plan on heading to Central Illinois for a great weekend of free performances and all the food and drink you can buy.